We’re meeting with The Kings Fund on Friday 5 October! 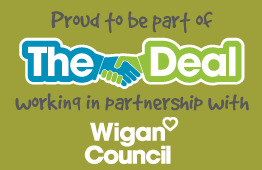 We've been invited by Wigan Council to meet with representatives from the UK's leading health and social care policy think tank, The Kings Fund on Friday 5 October, to highlight how our young carers have benefitted from our service engaging with The Deal principles; promoting an asset based approach to commmunity engagement and ensuring that those accessing services have their voices heard at strategic level. We're holding a Health and Wellbeing Event on Thursday 4 October at Fur Clemt, Wigan, in partnership with Wigan Council and Wigan Borough CCG - as part of a pilot project in Ashton, Golborne, Lowton SDF to raise awarenss amongst GPs and practitioners at primary care level. Cool Dudes, fundraising in the sunshine!